The Bhartiya Janata Party (BJP) is likely to field Malegaon blast accused Sadhvi Pragya Thakur from Madhya Pradesh’s Bhopal Lok Sabha seat. 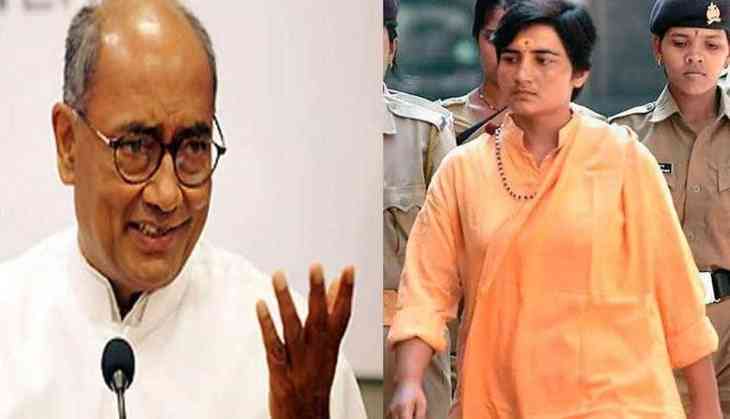 Sadhvi Pragya, who joined BJP today is likely to fielded against former MP chief minister and Congress leader Digvijaya Singh in Bhopal. "I have formally joined BJP, I will contest elections and will win also," said Sadhvi Pragya Thakur. According to reports, Sadhvi Pragya has reached BJP office in Bhopal to meet party leaders Shivraj Singh Chouhan, Ramlal, and Prabhat Jha. Pragya Sadhvi also said that she has a strong connection with the people of Bhopal and has worked all across Bhopal as the organisation minister of ABVP. Thakur is a key accused in the 2008 Malegaon blast case. She is out on bail but hasn't been discharged by the special NIA court in the case. According to media reports, BJP has also finalised its candidates for Sagar, Vidisha and Guna Lok Sabha constituencies in the state. BJP has a strong hold in Bhopal as Congress has not tasted victory in Bhopal since 1989.